live in downtown condos are mostly renters and are there for a short term. Even condo owners realize that raising a family in a 650 square foot condo (which sells for $350,000) is not an option. When the owners decide to expand their family, they sell their condo and move into a low rise, be it a detached home or semi. 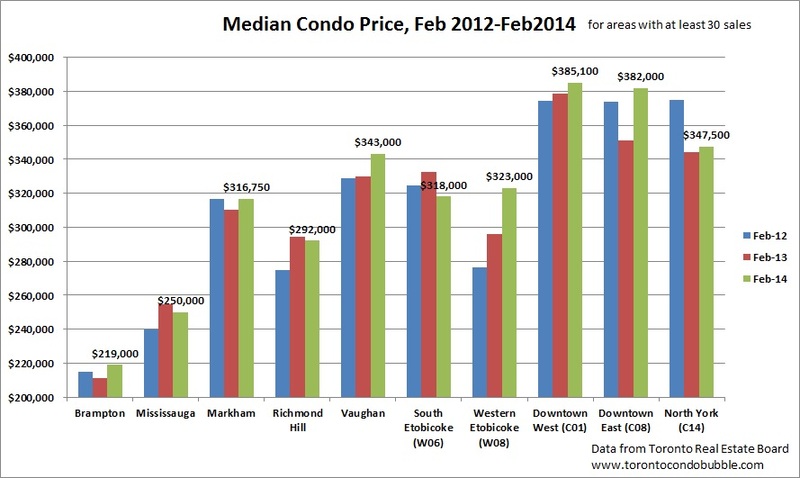 But realize that it's a huge condo price gain over the years that makes the low rise down payment. 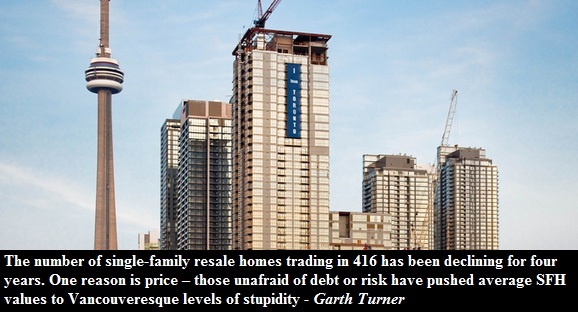 When the Toronto condo market crashes it will be a chain reaction and the whole market will go down. Of course prices will crash to different degrees across market segments, but it's likely Richmond Hill low rise homes will crash as much as downtown condos if not more. Last time the condo market crashed in Toronto, prices declined by 17% in south Etobicoke and by 30% downtown within two years. 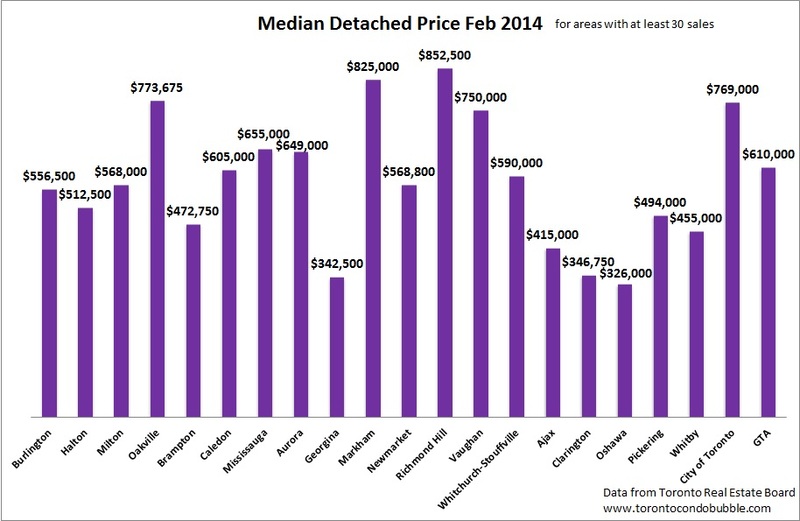 It is true, detached prices in city of Toronto continue to record double digit gains. As Garth Turner put it, it's the ones unafraid of debt and risk who are pushing the prices higher. In other words it's a bubble mentality. Even TD is worried about this trend which is "further igniting fears of a bubble". When will prices start to decline? I don't know. But here's my guess based on Google Trends data. 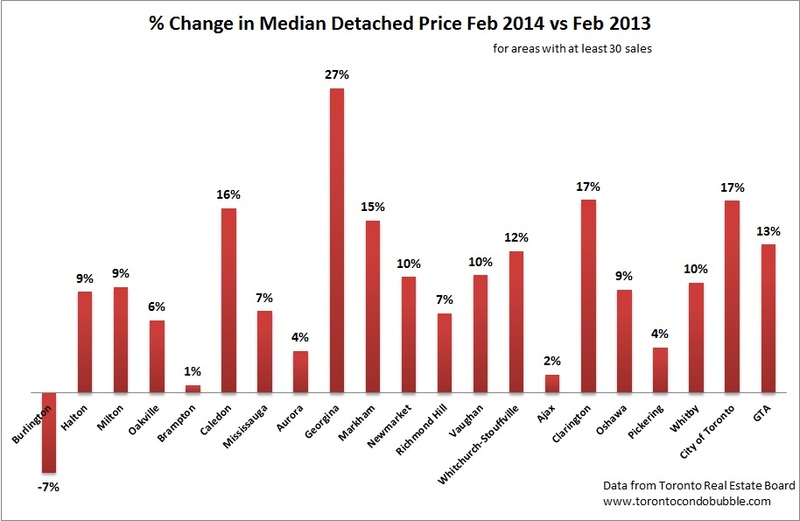 While condo prices are mostly stagnating, the detached market is booming. 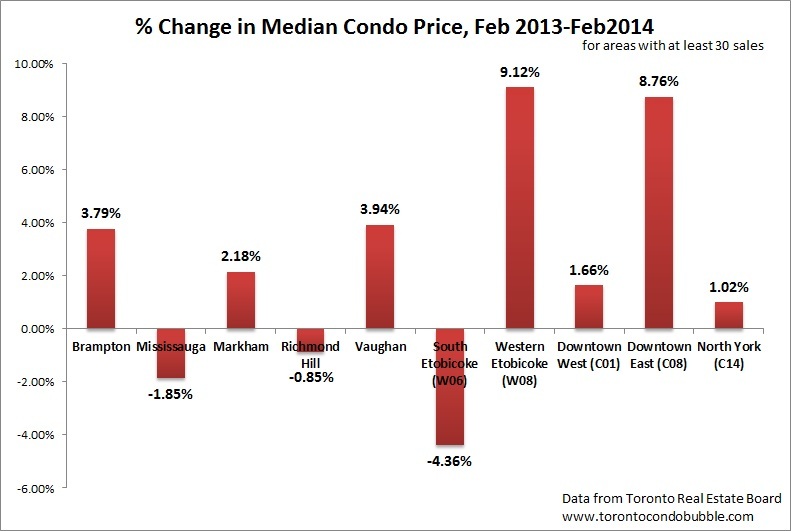 In sum, I think that condos will be the first to go down followed by the low rise segment. If you think that the detached market will be spared, keep in mind that during the 2008 financial crisis, median detached home price in the GTA crashed 25% at its worst.